This is what I’ve been checking out, aside from balls (hee hee!). 1. This is completely fascinating. It scares and thrills. 2. What is up with viral internet things? This almost scares me even more than the plant based meat. 3. Do you use apps to track yourself? 4. In line with the two above links, this book is crazy. It’s kind reminiscent of Brave New World and 1984, but even more absurd and frightening because it just might be the tiniest bit plausible. 5. Okay, on to cute things: how adorable are Jimmy Fallon and Nicole Kidman?! 6. This 2014 mix of pop music. 7. Word on the street is that sriracha isn’t cool anymore, but I don’t care, I still love it. 1. EEP! A Coco Cake Book!! 2. This ginger miso soba! 3. Chicken noodle soup with ALL the noodles please. 4. This sandwich is everything ever. 5. How beautiful is this Korean army stew?! 7. I really like Kylie’s new year intentions. Happy weekend friends! Hope everyone’s staying cosy! I love that video of Nicole Kidman and Jimmy Fallon! They’re so adorable. 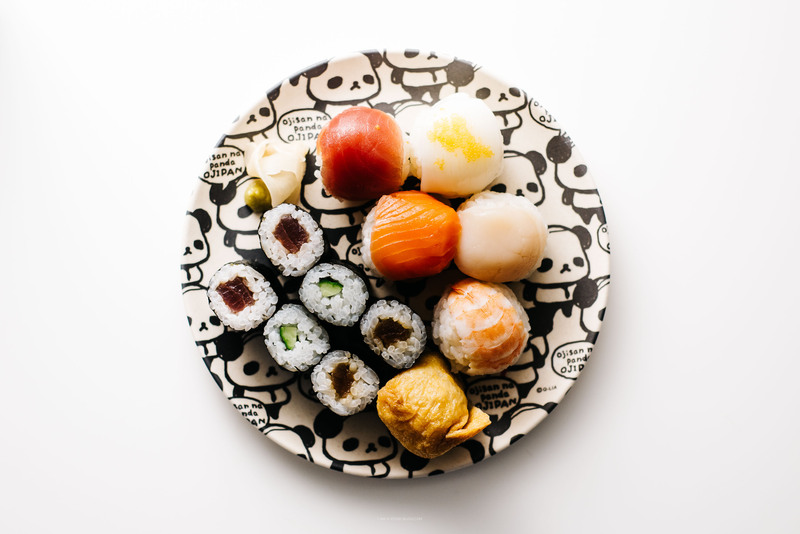 Also, speaking of adorable: SUSHI BALLS! Those look like my dream come true. Wow that plant near article, I’m actually really impressed. Regardless of the fact that it’s all natural, I’d be interested in the long term effects of it as one of the other commenters pointed out. I also really wanna try it when it comes out! Or try the chicken one now!! That book seems really interesting. I loved brave new world (1984 not so much haha) so I may try it out! Admittedly I was a little scared to hover over that first balls link to see where you were headed, but I should have known better. (Me <– gutterbrain!) I love balls too! And sushi balls might be the ballsiest of balls! Or maybe they just make me balls hungry. Balls balls balls! Speaking of…round things, The Circle is totally on my list even though it freaks me the frick out. Think I'll just get through this three-foot stack of how not to kill your baby books first before I move onto such thrilling material. :) Happy weekend, Stephanie! Thanks for sharing that book, The Circle. I didn’t know Dave Eggers had anything new out, but now I’m excited to get it! Love the links Stephanie! Wishing you a happy weekend! Love that Nicole Kidman and Jimmy Fallon bit + that Spicy Sweet Potato Chip Sammie, yes please! Those cookies are crazy amazing. Ok, so I have never had sushi balls. I’m so embarrassed!! I’m dying over the Jimmy + Nicole vid. SO cute. So so so cute!! Also, that SANDWICH!! Amazing!! This just looks absolutely great! I am a huge sushi fan, and I am definitely going to attempt to make these!